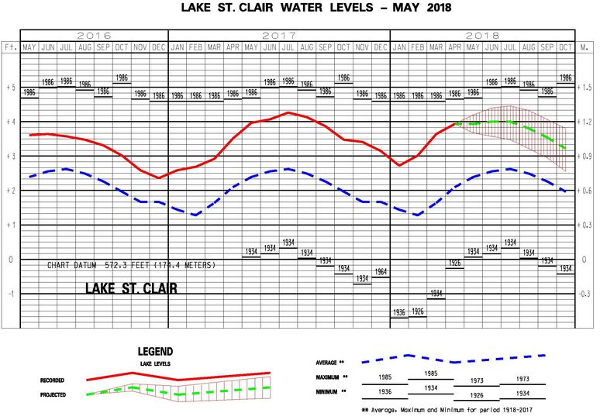 Water levels forecasts by the U.S. Army Corps of Engineers show that we are within inches of the upcoming peak water levels in July, on Lake St. Clair. Month by month in 2018, the forecasts have been tracking close to the actual readings. This is good news for anglers on the big water. Wide ranging fluctuations in water levels have been cited as a possible reason for the shift in fish locations over the last few years. 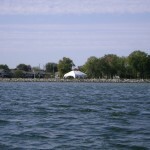 Stable water levels now means, we can depend on a stable environment for several months in a row. Water levels are only one factor that dictate bass location. Forage, weather trends and other forces are in play that contribute to determining where the majority of the bass will be. 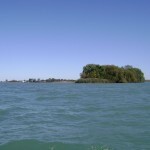 Stability in any of these elements makes the process of finding bass on Lake St. Clair a little easier.